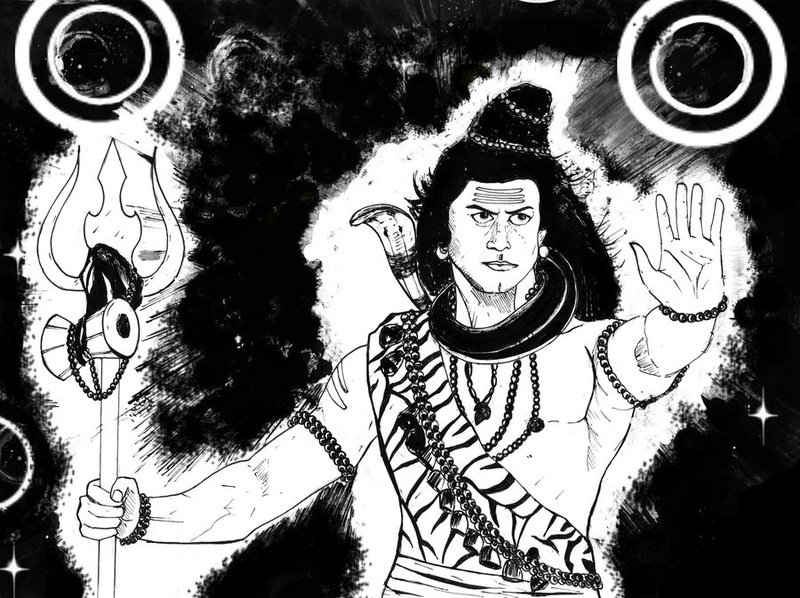 Lord Shiva is considered as the supreme God in the Hinduism. For setting up an ideal work on the earth in front of his creatures, he had taken variety of the avatars and incarnations. Some of his avatars are related to protecting his devotees from the devils and proud Gods as well. However, five avatars of all his incarnations are hideously important as well as assumed to be the most valuable and effective for his devotees. The most important five incarnations are: Tatpurush, Namadeva, Aghoresh, Sadhojat and Ishan. Tatpurush is the most popular third incarnation of the Lord Shiva which was manifested in the 21st Kalpa of the planet known as Peetavasa. It was appeared by the prayer of the Lord Brahma. During the 20th Kalpa known as the Rakta, Lord Brahma got his complexion changed to a red. Another entity was appeared from him of the red complexion, which was name by him as a Namadeva. It is considered as the Naamdeva was also the incarnation of Lord Shiva. In the Shiva Kalpa (after the Peetavasa Kalp), an entity of black color complexion was appeared by the Lord Brahma when he was in deep meditation state. Lord Brahma named that entity as Aghor Shiva and considered as another form of Lord Shiva. During the 19th Kalpa known as Shweta Lohit, there appeared an entity by the Lord Brahma while he was meditating, which was named by him as Sadhojat. It is considered that this form of the Lord Shiva was the first incarnation. Four disciples of the Sadhojat were appeared by his own body named Nandan, Vishwanandan, Sunand and Upanandan. In the Vishwaroop Kalpa, Ishan form of the Lord Shiva and Saraswati were manifested. Four divine entities like Mundi, Shikhandi, Caste and Ardhamundi were manifested from the Ishan Shiva. Lord Brahma was blessed by all of them for the creation facility. There are eight idols of the Lord Shiva which includes Ugra, Sharva, Bhava, Rudra, Bheema, Pashupati, Ishan and Mahadeva. Ten fastidious incarnations of the God Shiva known as Dash Avatar and 10 incarnations of the Mata Sakti known as the Dash Mahavidya. Describing concerning to the 10 incarnations and their corresponding power (Shakti), the first incarnation of Lord Shiva was the Mahakal and Shakti was Mahakali. Second incarnation of both of them was Tar and Tara. Third incarnation of both of them was Bhuvaneshwar and Bhuvaneshwari. Fourth incarnation was Shodash and Shodashi or Shri. Fifth incarnation was Bhairav and Bhairavi. The sixth incarnation was Chhinamastak and Chhinamasta. Seventh incarnation was Dhoomvan and Dhoomvati. The eighth incarnation was Baglamukh and Baglamukhi. The ninth incarnation was Matang and Matangi. Tenth incarnation was Kamal and Kamala. 1) Kapali 2) Pingal 3) Bheem 4) Virupaksha 5) Vilohit 6) Shastra 7) Ajapaad 8) Ahirbudhnya 9) Shambhu 10) Chand and 11) Bhav. 1. Ardhnaarishwar Avatar: Ardhnaarishwar form of the Lord Shiva includes half body of Lord Shiva and other half of the Mata Parvati. This form is very calm and peaceful, provides blessings to the devotees. 2. Nandi Avatar: Lord Shiva had taken lots of avatars on the earth according to the requirement for their devotees. Nandi avatar is one of all the avatars. 3. 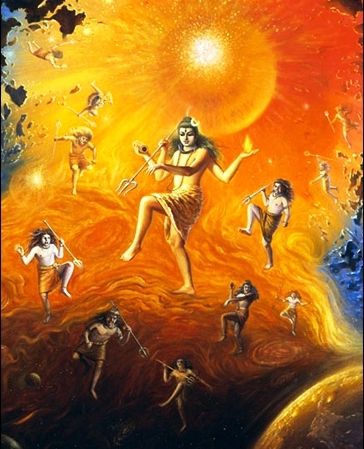 Sharabh Avatar: This form of the Lord Shiva was the 6th avatar of him. 4. Grihpati Avatar: Grihpati avatar of the Lord Shiva was the 7th avatar of him. 5. Neel Kanth Avatar: Neel Kanth avatar is also a main form of him. Once there was arisen a lot of Vish from the churning of the ocean. Lord Shiva had drunk all the Vish to prevent his beautiful world from the bad effects of Vish. Mata Parvati had stopped the Vish to fall below the neck by putting her palm on his neck. So, this form of him is known as the Neel kanth avatar. 6. Rishi Durvasha Avatar: It is considered as this avatar of the Lord is the main avatar. He has taken this avatar on the earth to maintain the discipline of the universe. 7. Mahesh Avatar: Mahesh avatar is also a peaceful form of the Lord Shiva which blesses his devotees. 8. Hanuman Avatar: hanuman avatar is considered as the supreme avatar of him. Lord Shiva has taken this avatar during the time Lord Rama to present a good example of the Lord and Bhakt in front of the people. 9. Brishabh Avatar: Brishabh avatar is the very significant form of the God Shiva. 10. Piplaad Avatar: Lord Shiva helps their devotees to get free from the Shani Dosha in this form. It is considered as the name of this avatar was given by the Lord Brahma. 11. Vaishyanath Avatar: This is the main avatar of the Lord Shiva to his devotees. 13. Yatinath Avatar: Yatinath avatar of the God Shiva represents a peaceful form of him to his devotees. 14. Krishna Darshan Avatar: Lord Shiva, in this form had represented the significance of the yagya and important religious rituals in Hinduism. 15. Awdhuteshwar Avatar: In this form Lord Shiva had crushed the ego of proud Indra. 16. Bhichhuwarya Avatar: In this form, Lord Shiva protects his all creatures from any difficulty. 17. Sureshwar Avatar: This form of Lord Shiva represents the love and care of him towards his devotees. 18. Bramhchari Avatar: Lord Shiva had taken this avatar to test the Mata Parvati. When Sati rebirth on the earth to the Himalaya’s house as his daughter, Parvati and started worshipping the God Shiva to marry him. 19. Sunatnartak Avatar: Lord Shiva had taken this form to ask the hand of Parvati from her father, Himalaya. 20. Saddhu Avatar: Lord Shiva had taken Sadhu avatar many times according to the need of his devotees. 21. Vibhuashwathama Avatar: Lord Shiva had taken this avatar in the Mahabharat as Ashwatthama (son Dronacharya). 22. Kiraat Avatar: Lord Shiva, in this form had taken the test of Arjuna. 23. Veerbhadra Avatar: This avatar was taken by the Lord Shiva after the sacrifice of the Sati into the Daksha’s yagya. This form of the Lord Shiva was very terrible, face was full of angry, hair opened, indicated his love and care towards his wife. 24. Bhairav Avatar: Lord Shiva has taken Bhairav avatar to protect the Sati pindas. After the death of Sati into the yagya of Daksha, Lord Shiva was wandering all over the world by taking the Sati body. Lord Vishnu had cut the body of Sati into many pieces (52) by his wheel. Those pieces were fallen on the earth. So to protect those Sati pindas from the devils, Lord Shiva had taken the Bhairav avatar. 25. Allama Prabhu: This is one of the incarnations of the Lord Shiva. This form was involved with the Kalyanapuri revolution where Bijala Raja was slain. 26. Khandoba: This is another incarnation of the Lord Shiva having horse as his vehicle and loaded with the sword, trident, bowl and trident.